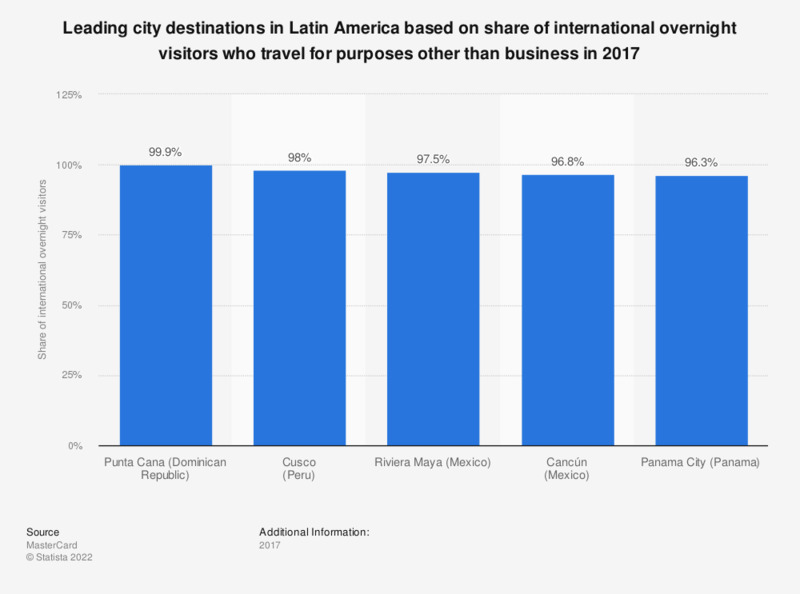 This statistic shows the Latin American city destinations with the highest share of international overnight visitors who travel for purposes other than business in 2017. Punta Cana led the ranking, with 99.9 percent of international travelers visiting the city for leisure purposes, followed by Cusco with 98 percent of visitors. Everything On "Travel & Tourism in Latin America" in One Document: Edited and Divided into Handy Chapters. Including Detailed References. Which country do you think is the best for food tourists to visit?